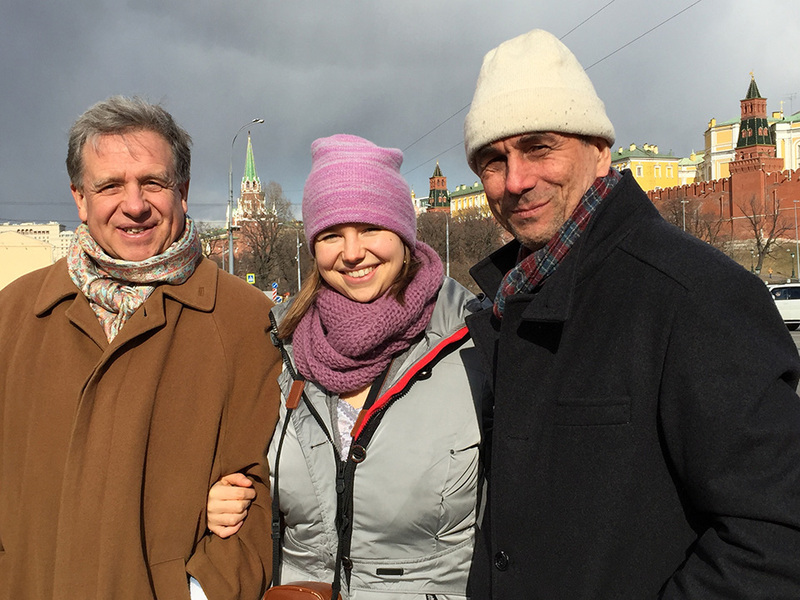 At the end of March, together with his daughter Lilian and his translator and colleague Igor Golovchyn, he visited a health convention in Moscow for the purpose of giving a presentation and networking. 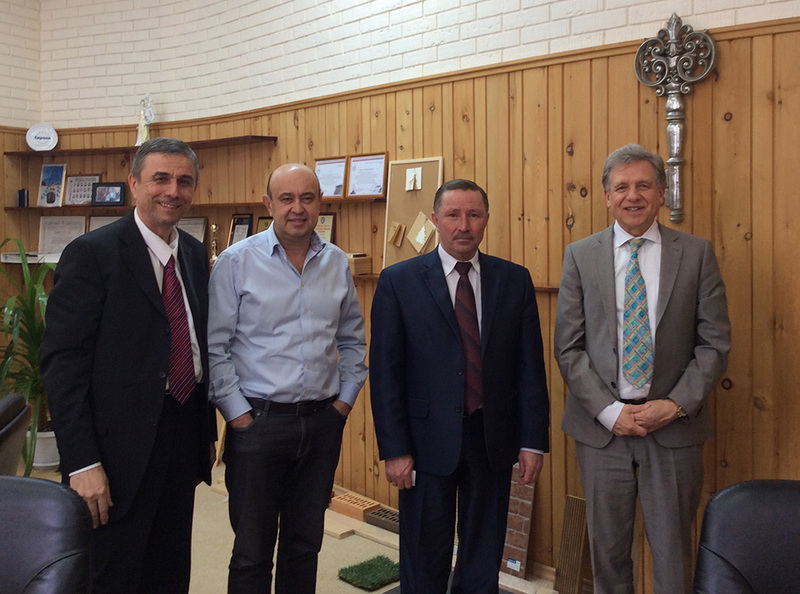 Following an invitation he then visited the cities Izhevsk (pop. 700,000), Sarapul (pop. 100,000) and Votkinsk near the Ural Mountains, the birthplace of Pyotr Ilyich Tchaikovsky (pop. 100,000) in the Federal Republic of Udmurtia. These invitations came about because a prominent politician from Udmurtia had repeatedly visited the Maharishi Ayurveda Health Centre in Bad Ems. 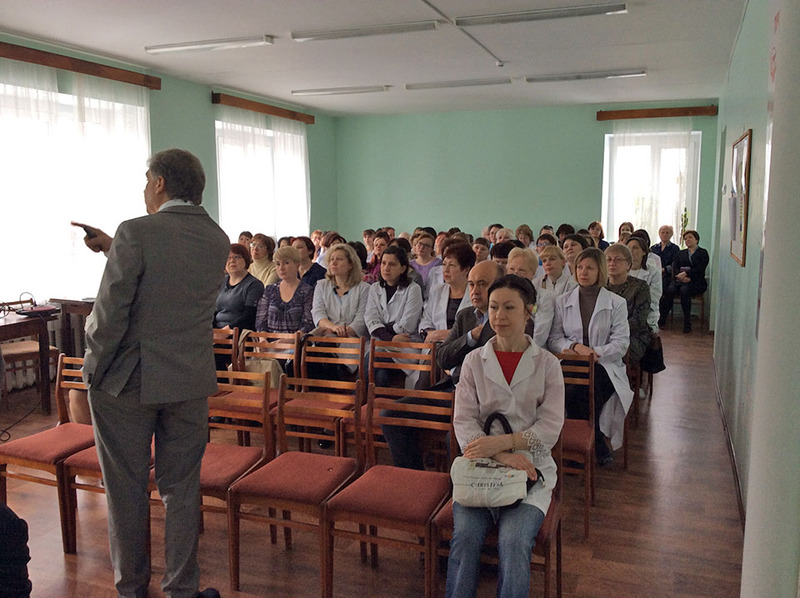 He was so highly impressed by his health improvements and cures through the Ayurvedic treatments that he organized a comprehensive program of lectures to two hospitals with over 40 doctors each, a lecture to 150 students from the University of Votkinsk, a meeting with the President of Parliament and other political and medical leaders. He couldn’t help but introduce each event with an enthusiastic report about his own results with Ayuveda. 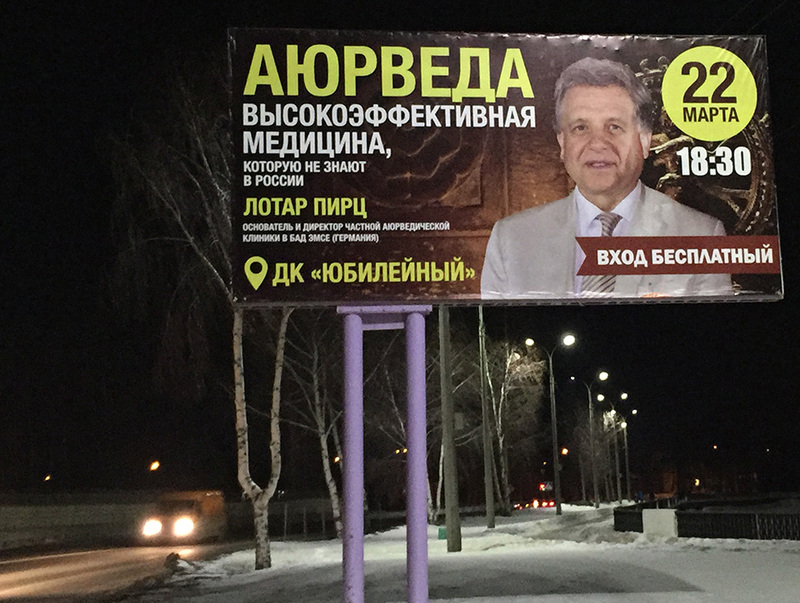 The public lectures in Izhevsk and Votkinsk were well-promoted by large posters on the main streets, in shops and by television and Internet announcements. In both cities up to 350 highly interested audience participants poured into the theater halls. At each location the audience was excited about the fascinating fundamental knowledge of Ayurveda and people showed a keen interest in the practical tips to improve and maintain their own health. People were extremely receptive and warm-hearted. After the presentation many came on stage and still wanted to know more. A regional television station repeatedly broadcast a summary of Lothar Pirc’s presentations, followed by a 20-minute interview with him. 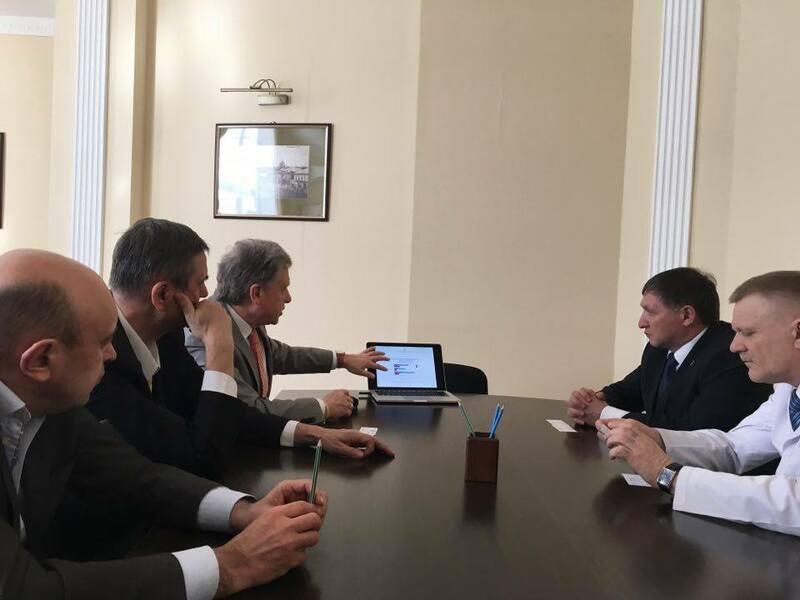 Encouraged by the positive feedback from the public and the medical profession as well as by the lively discussions on Facebook, the mayor of the city Votkinsk asked the delegation to meet with him in person to receive firsthand information. 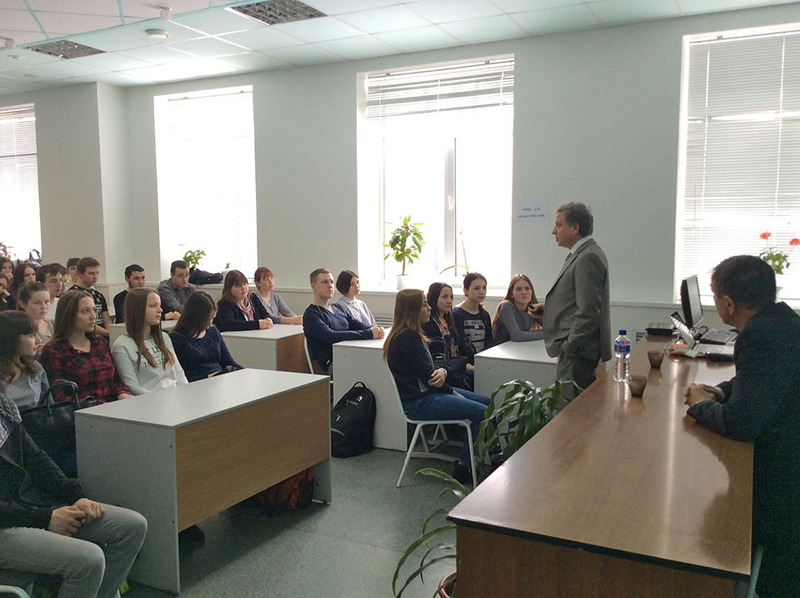 He mentioned that the lecture tour left a deep impression throughout Udmurtia. And he wished that this precious knowledge would be introduced in his region for the benefit of his people and he offered his personal support. As a result of all these activities investors offered to build a clinic in a prime location. The next step is to organize additional trips with one of our doctors from the Maharishi Ayurveda Health Centre Bad Ems, to provide consultations and seminars for the population as well as to offer training seminars for the medical profession through Maharishi European Research University in the Netherlands.